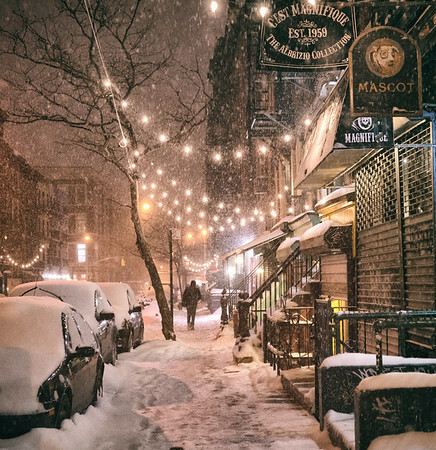 Beautiful hanging lights in the snow as snow falls onto the New York City streets during a snowstorm in NYC at night. This is a street in the East Village in lower Manhattan. Linda - Just click/tap on the "buy photos" and all of the sizes for every option are there depending on what finish you want.